Cape Town is a haven for thrill-seekers and adrenaline junkies. You could stay for weeks and still not tick off all the adventure activities on offer! Here’s a handy guide to getting the most out of your Cape Town trip, if it’s adventure you’re after. There are so many things to experience in Cape Town. Here are our top picks. Get your hands on a City Pass for massive discounts on many of the below activities! Get your blood pumping without spending a cent on some of Cape Town’s spectacular trails. 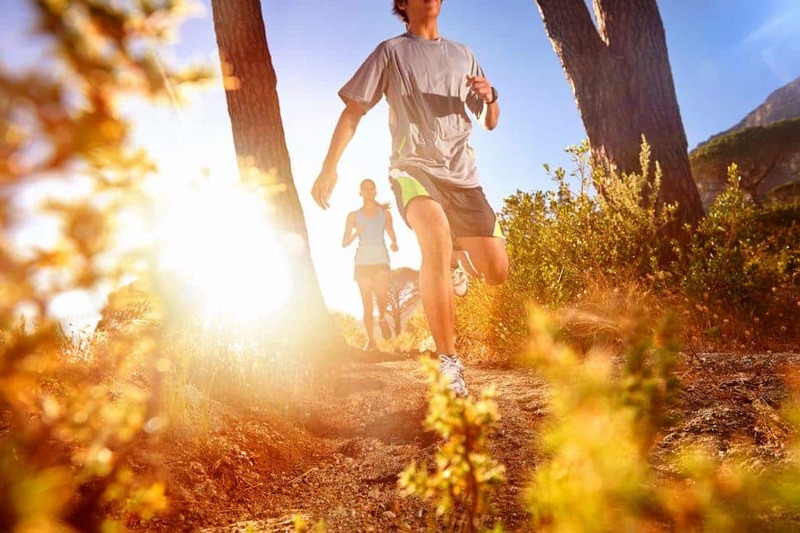 Try one of the lovely running trails or a Table Mountain hike. Expect fantastic views! There are many amazing mountain bike trails around Cape Town too. Rent a bike and head for the hills to enjoy the great views on offer. There are many paragliding operators, with launch sites at Signal Hill and Lion’s Head. Get your adrenaline kick by soaring over the city and enjoying the bird’s eye views of the mountains and coastline. Accredited operators include Fly Cape Town Paragliding, Cape Town Tandem Paragliding, Skywings Paragliding, Parapax Tandem Paragliding, and the Tandem Flight Company. There are few things as thrilling as getting up close and personal with the ocean’s largest shark. Great Whites call the Cape coast home: the temperature is perfect and food is plentiful. Shark cage diving is one for the bucket list! 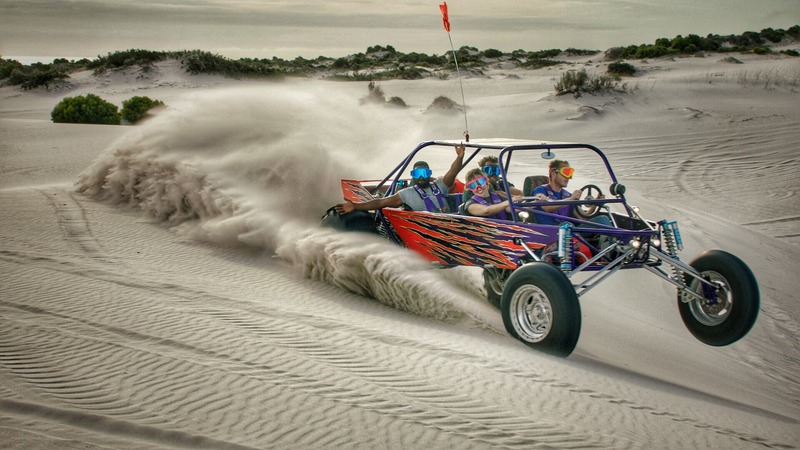 The Atlantis dunes are an adventure hotspot just north of the City Bowl, near Blouberg. Here, you can go quad biking, sandboarding, or ride the Dune Trasher over the sand at top speed. Muizenberg and Bloubergstrand are the places to go if you’re still learning to surf. There are many surf schools who can help you get started. If you’re a little more experienced, pick one of the city’s top surf spots and get out there! Plan your trip for January or February and head to Big Bay if you’re a windsurfer. Just remember to bring or rent a wetsuit: Cape Town waters are cold. Get a bird’s eye view of the city with City Helicopters. They offer sunning tours over some of the greatest and most historic sites the city has to offer. You could see Robben Island, the famous beaches of Camps Bay and Clifton, Table Mountain, and the Constantia Winelands from above. There’s also the option of flying out to the Winelands for lunch, or to the bush for a safari. 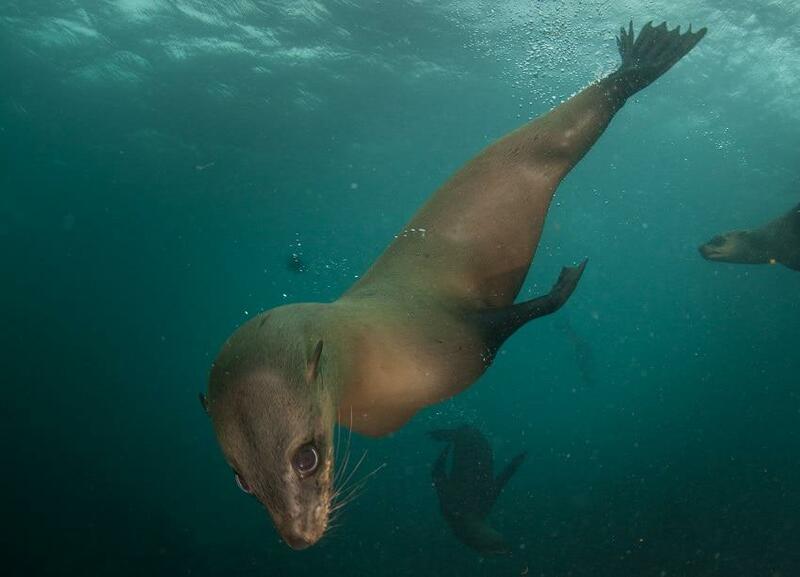 Cape Town Bucket List offers the opportunity to share the water with Cape Fur Seals, the friendliest animal in the ocean! Trips leave from Hout Bay and take you to Duiker Island, where thousands of these animals await. They’re adorably nicknamed “puppies of the ocean” for their playful, curious nature, but at 300kg they’re some pretty large pups! For the adventurous at heart, you don’t need to look far for things to do. It might be worth staying close to the activities you’re after. Kalk Bay, Simon’s Town, Muizenberg, Gordon’s Bay, and Hout Bay are good options for sea activities, such as kayaking, shark cage diving, sailing, or surfing. Hikers and climbers will be happy just about anywhere. The City Bowl is central and close to Table Mountain, but pretty much anywhere you stay will have great hikes within a few minutes’ drive. If sandboarding is your jam, consider staying close to the actions in Blouberg. Overall, the City Bowl is a great choice as it is central and well connected to most adventure activites. A can-do attitude and bundles of energy! Planning a trip to Cape Town? Book flights, browse accommodation, and rent a car now to get the best rates. The Cape Town City Pass gives you access to over 70 of the top Cape Town attractions, tours, and things to see and do, including the popular hop on hop off City Sightseeing bus. For inspiration and insider tips, follow us on Instagram, Facebook, or Twitter. Tag #lovecapetown to share your pics with us, or subscribe to our newsletter to get the best Cape Town has to offer sent direct to your mailbox.